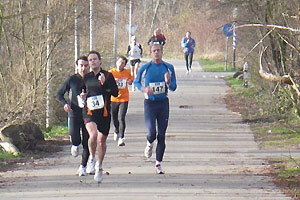 British colleagues gave running instruction during an international cross country in the area north west of The Hague. British civil servants beat their Dutch colleagues at ease during an international running venue, the first The Hague Anglo-Dutch civil servants cross country. On the 10 K they won the men’s as well as the women’s race. VROM-runner Aldo Looijenga just missed the podium and became fourth in line. Many of the competitors in this cross country saw it as a good trial run for the City-Pier-City run on Saturday 15 March. The British civil servants showed at the sturdy track on the The Hague Waalsdorpervlakte that they are ‘ready’ for it. At the 10 K, the main event of this arduous dunes trial, the British men ended first (Daniel Merckel) and third (Jon Gilling), the United Kingdom women gained total victory with Diana Kennedy as first and Liz Stavreski as second to finish. Vincent Anker (SZW) prevented by becoming second in the men’s race, a total British victory. The fastest VROM-runner was Aldo Looijenga with a well-earned fourth place, third woman was Lenie Hoogweg (ex-VROM). The shorter distance (5,8 K) showed Dutch successes: Charissa Efstratiades (Justice), finished as first woman, followed by Annerie de Haan (Justice). With the men this distance was won by Ed Kronenburg (Royal Estates) followed bij Eric Scheers (Justice). The prices were presented by Secretary General (for civil servant reconstruction) Roel Bekker and Mireille Groet (National Spatial Planning Agency). In reply to their kind words the British delegation leader Gerry Trainer told the listeners in a humorous way that this success was a real band aid for him to cure an old pain. 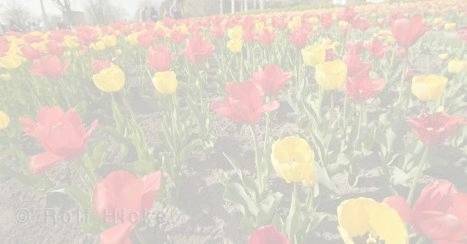 An earlier visit to The Netherlands had inflicted him with deep pains on the occasion of a dramatical loss of ‘his’ Scottish soccer team (6-0) against the Dutch. But the Dutch get an opportunity for revenge. Once every two years the British civil servant runners organize a cross country run in the beautiful Richmond Park in London. All civil servants from Europe are welcome to come and join this cross country. The next edition will be held on 12 November 2008.